Taking care of your engagement ring will ensure that not only does it look its best before and during the wedding, but that it remains a treasure that can be passed down from generation to generation. 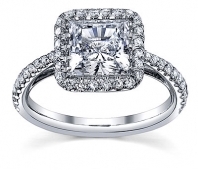 With practical habits, regular cleaning, and careful storage, caring for your engagement ring will become easy. Take off your ring before taking part in a sport or other vigorous activity that could involve sharp blows. Always keep your ring in the same, safe place every day to avoid accidentally misplacing it. 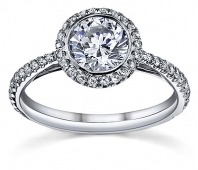 Clean your ring at least once a week to retain its dazzling look just like the day you first put it on. Remove your engagement ring before beginning housecleaning or yard work that involves harsh chemicals or rough equipment. Have your ring examined at least twice a year by a qualified jeweler to guarantee the setting is secure. 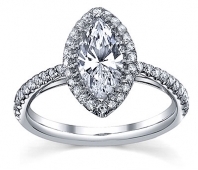 Have an accurate appraisal of your engagement ring updated every few years in case of loss. 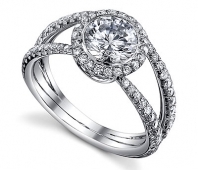 Insure your precious engagement ring against theft, loss, or accidental damage.